The Intel Xeon processor E5-2600 v2 product family provides 50 percent more cores and cache than the previous generation, along with faster memory and additional hardware enhancements for virtualization. These innovations deliver up to 50 percent higher performance on average over previous generation Intel Xeon processor-based servers across a broad range of benchmarks. The Intel Xeon processor E5-2600 v2 product family provides exceptionally fast data movement in dense virtual environments to increase server performance and accelerate network and storage communications. With the Intel Xeon processor E5-2600 v2 product family, you can protect your business more effectively using Intel Security Technologies that help to improve workload isolation, security policy enforcement, and data encryption. Power and cooling costs continue to rise. 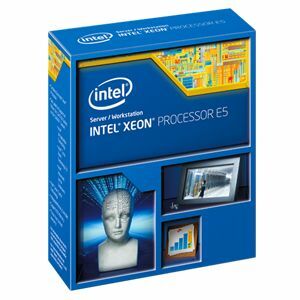 The Intel Xeon processor E5-2600 v2 product family offers up to 45 percent more energy efficiency over previous generation Intel Xeon processor-based servers. It can help you get more value out of every watt by optimizing performance versus energy consumption, not only for individual servers, but also for racks, rows, and entire data centers.